The Blue Ridge Tunnel is a historic railroad tunnel that runs through Blue Ridge Mountains in Nelson County, Central Virginia. The tunnel was decommissioned in 1944 and has since been closed to visitors because of safety concerns. In recent years, the County received funding to restore the tunnel and reopen it as a pedestrian rail trail. Part of the restoration process required an initial assessment of the safety and state of the tunnel. 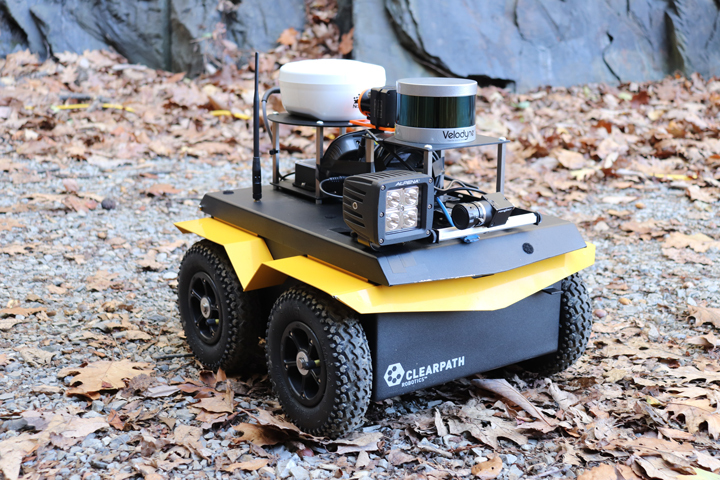 For this job, project organizers called on Nicola Bezzo and his team at University of Virginia, and their Jackal UGV mobile robot. Entrance to the abandoned Blue Ridge tunnel in Virginia. 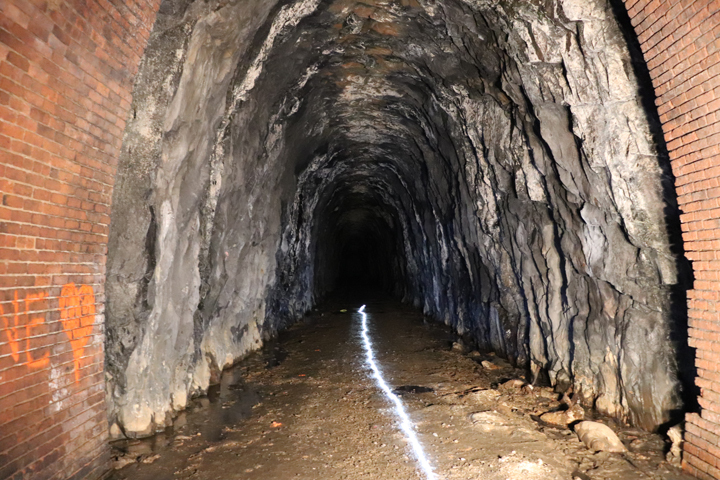 The team was tasked with building a high-resolution 3D map of the tunnel so it could be compared with historic data to see how it has changed over time. Previous inspections were conducted by placing a specialized and expensive long range LIDAR at the entrance of the tunnel to collect data. However, this method resulted in too many shadows and gaps in the data as the static LIDAR was unable to measure areas behind rocks and other obstructions. Nicola and his team considered using drones with LIDARs and cameras but the setup would have taken a long time and environmental conditions would have made their deployment impractical. They concluded that this was a perfect job for their rugged and weather-proof Jackal UGV. The Jackal UGV was equipped with two LIDAR sensors. A Velodyne VLP-16 3D LIDAR and a Hokuyo 2D LIDAR. The Hokuyo was oriented vertically on the robot to capture the shape and perimeter of the tunnel, while the Velodyne was oriented horizontally. Combined with the onboard IMU, encoder data and the ROS-based computer running SLAM algorithms, the team was able to collect high resolution data as they tele-operated the Jackal through the 1-mile stretch of tunnel. Nicola Bezzo’s Jackal UGV equipped with a Velodyne VLP-16 3D LIDAR, Hokuyo 2D Lidar, LED lamp, NovAtel GPS and PointGrey camera. The GPS and Camera were not used for this project. 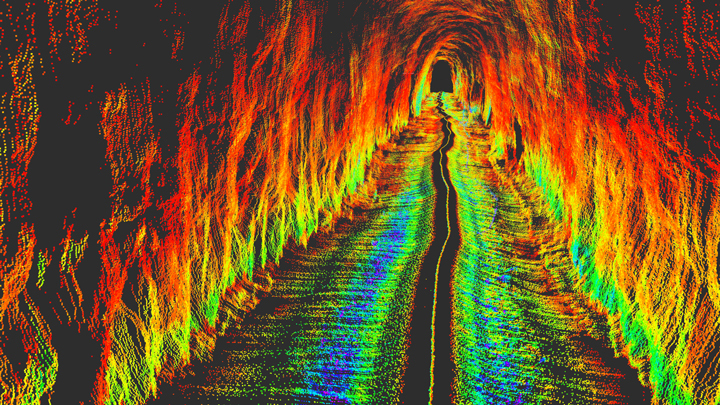 3D visualization of the LIDAR data from within the tunnel. With Jackal’s native ROS support, the team was able to easily visualize and monitor collected data as they were conducting the survey. As one team member tele-operated the Jackal, another member connected wirelessly via SSH to the robot to visualize the data in RViz on a laptop. This instant feedback allowed the team to quickly see and assess what was happening, and correct for any errors in real time. Top view of the tunnel visualized in Rviz. 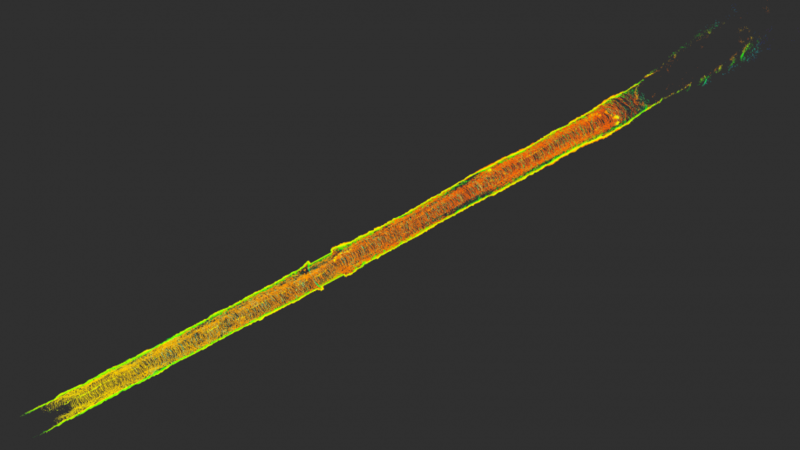 Following the survey, the team imported the collected data into ROS for visualization and analyzing the 3D models. The team is currently in the process of sharing the models and collaborating with the tunnel restoration project team. Click here to learn more about the Jackal UGV.